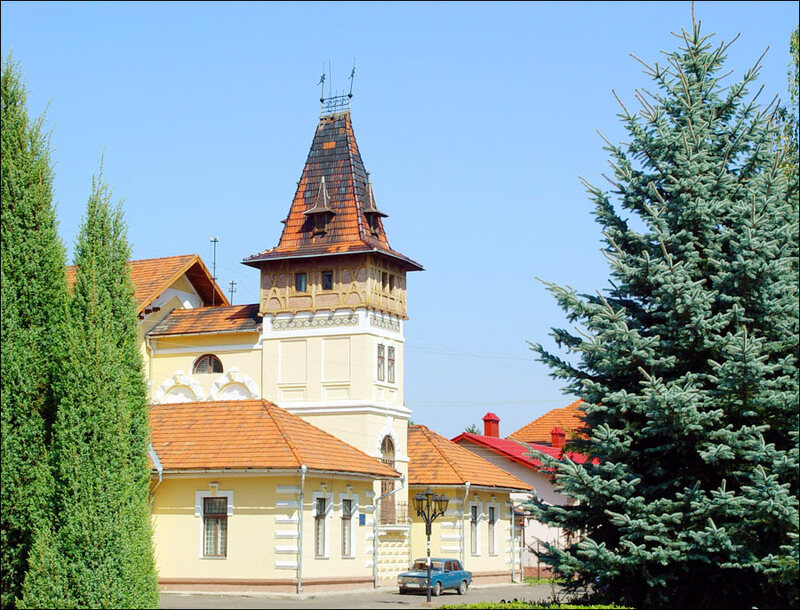 Kolomyia (other spellings: Kolomyya, Kolomea, Kolomiya), the center of the Kolomyia district, is a city located on the left bank of the Prut River in the southeast of the Ivano-Frankivsk region, 60 km from Ivano-Frankivsk. It is one of the most beautiful district centers in Ukraine. The population of Kolomyia is about 60,000 (2016), the area - 41 sq. km. The phone code - + 380 3433, the postal codes - 78200-78212. Local time in Kolomiya city is April 21, 9:14 pm (+2 UTC). 21 December, 2017 / Kolomyia - a great place for a tourist trip. 18 July, 2016 / Kolomyia - a beautiful city in Western Ukraine. 6 May, 2014 / Walking the streets of Kolomiya. 24 August, 2011 / The museum of Pysanka (Easter egg) in Kolomiya. The first known written mention of Kolomyia was found in the Galician-Volhynian Chronicle and dated back to 1241. 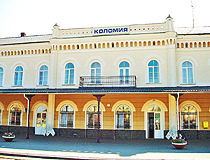 Kolomyia was mentioned as a “profitable town” of Prince Daniel of Galicia. It was located at the intersection of important trade routes that led to Prague, Vienna, Regensburg, and Mainz. In the middle of the 13th century, Kolomyia and its outskirts were an important center for salt extraction, which brought great profits to the prince’s treasury. According to the researchers, the settlement existed at least from the middle of the 12th century. Favorable geographical position of the town promoted active trade with Poland, Hungary, Byzantium, Genoese and Venetian trading posts of the Black Sea region, Lithuania, countries of Western Europe. 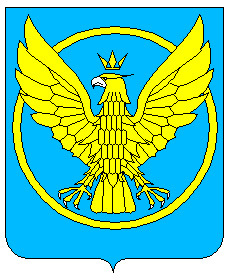 Kolomyia was located on the territory of the Principality of Galicia-Volhynia, fulfilling the functions of the trade and defensive center of the south-eastern border of Galicia. It was mentioned in the chronicle “List of Distant and Near Russian Towns”. A lot of ancient Russian towns ceased to exist in the middle of the 13th century, during the Mongol invasion. It is assumed that the fortress of Kolomyia could be burned in 1259, when the Mongol general Burundai demanded from Prince Daniel of Galicia to destroy all his fortifications. In 1349, these lands became part of the Kingdom of Poland. In 1395, Kolomyia received the coat of arms. In 1405, the town received the Magdeburg rights - the right to trade, to have a salt warehouse and a place for weighing goods. Kolomyia continued to develop as a center for the production and trade of salt. During the 16th and early 17th centuries, the town was repeatedly attacked, burnt and plundered by nomads, in particular the Crimean Tatars. In the second half of the 1620s, Kolomyia was moved farther north, to the territory of the present city center. In the middle of the 17th century, after the construction of a new fortification (on the hill where the school #1 is located today, on Adama Mitskevycha Street), the town could finally defend itself against these attacks. In 1772, after the first Partition of Poland, Kolomyia fell under the rule of the Habsburg Monarchy. In the vicinity of the town, German colonies began to emerge. During the 19th century, the Austrian government built 6 military barracks and 3 powder storehouses in the town. A large number of troops were concentrated in Kolomyia. In 1861, a gymnasium was opened in the town. In 1864, the first printing house was opened, in 1865, the first newspaper was printed. In 1892, a Ukrainian gymnasium was opened. 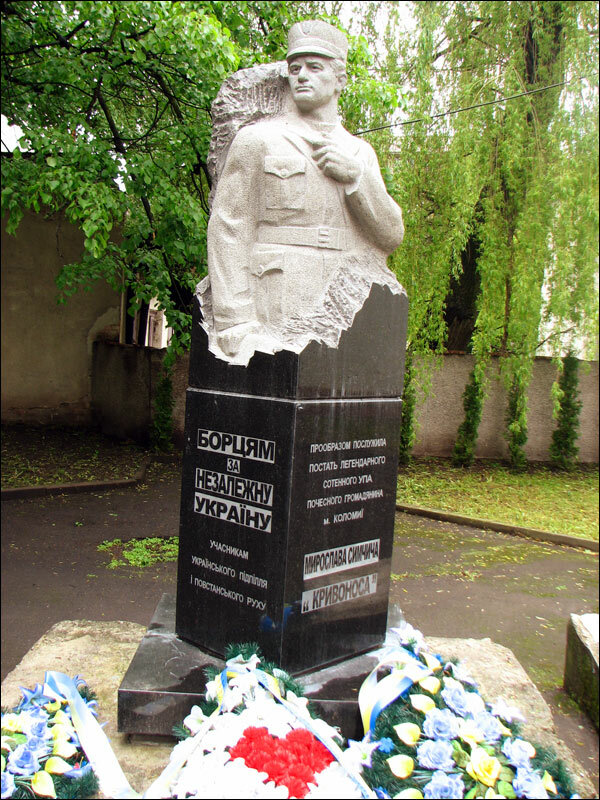 At the beginning of the 20th century, the Ukrainian national revival continued in Galicia, a monument to Taras Shevchenko was erected in Kolomyia. In September 1914, during the First World War, Russian troops entered Kolomyia. During the war, Russians occupied and left the town three times. In 1919, after the Polish-Ukrainian war, it became part of Poland. Until 1939, the city was the second center of cultural and social life of Galicia after Lviv. Before the Second World War II, the city’s population was about 45,000, of which 19,350 were Jews. In September 1939, it was occupied by Soviet troops as a result of the partition of Poland between Germany and the USSR according to the Molotov-Ribbentrop Pact. From June 1941 to March 1944, during the Second World War, Kolomyia was under German occupation. During this period, more than 17,000 residents were shot, more than 2,500 were sent as slave labor to Germany. During the fighting, about a third of the city was burnt. In the first post-war years, the national composition of Kolomyia’s population changed significantly. The number of Russians significantly increased - servicemen of the Red Army, officials, party figures, teachers, and medical doctors. A lot of the Poles were resettled from the new Ukrainian territories to Poland. As a result of the German occupation, the Jewish community was completely destroyed. For the first time in many years, the largest proportion of the population was made up of Ukrainians, whose number was increased by people resettled from Poland (Operation Vistula). After the restoration of Soviet power in the region, the struggle against the Ukrainian national liberation movement began, as a result of which thousands of people were killed or sent to special camps for prisoners. In the 1960s, large-scale housing construction began in Kolomyia. New standard and faceless Soviet buildings became a kind of dissonance against the background of the Austrian architecture of the city. In the late 1980s, during the so-called perestroika, the process of national revival began again. 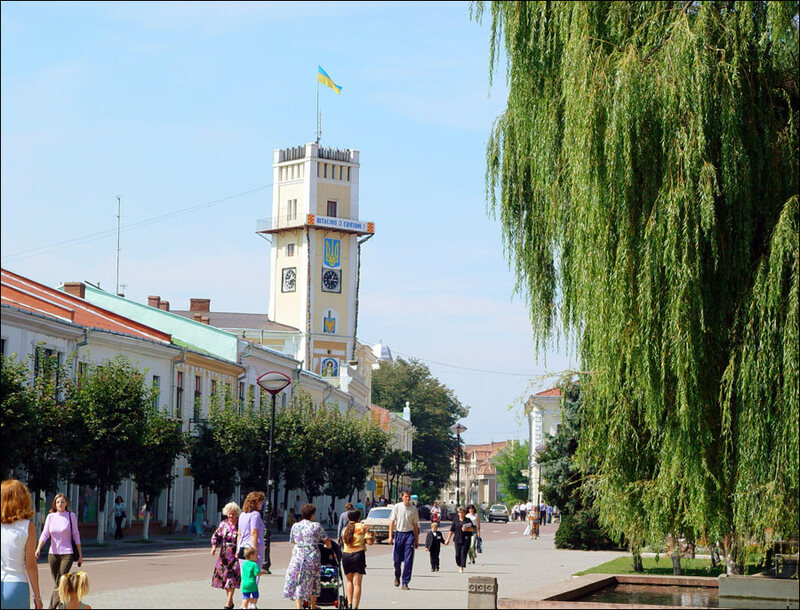 August 17-19, 1991, Kolomyia celebrated the 750th anniversary of its first mention in chronicles. After the collapse of the Soviet Union, the economy of the city was in crisis for a long time. Most of the Soviet industrial enterprises closed. Instead, new businesses, shopping and entertainment establishments, cafes, restaurants, hotels, travel companies appeared. With the revival of the Greek Catholic Church and freedom of worship, a number of old churches were restored. 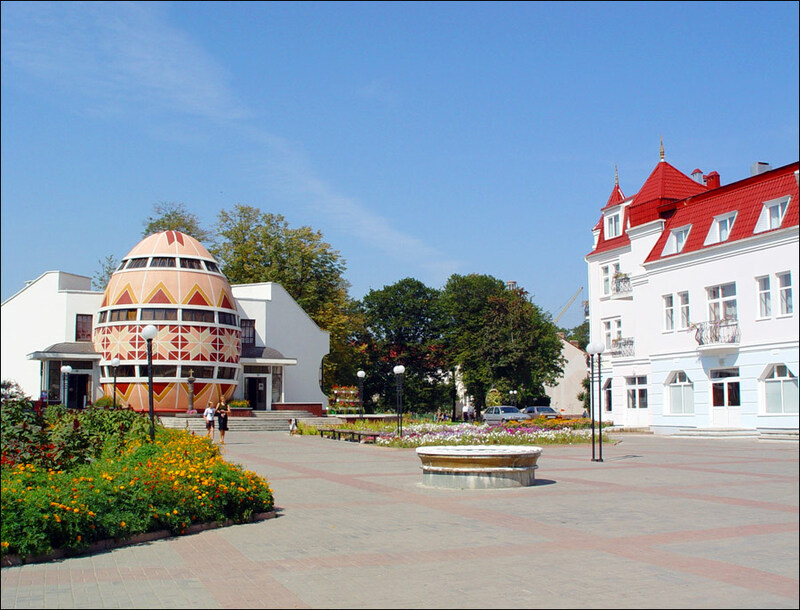 In the 2000s, a large-scale reconstruction of the city center took place, a new building was opened for the Pysanka Museum. 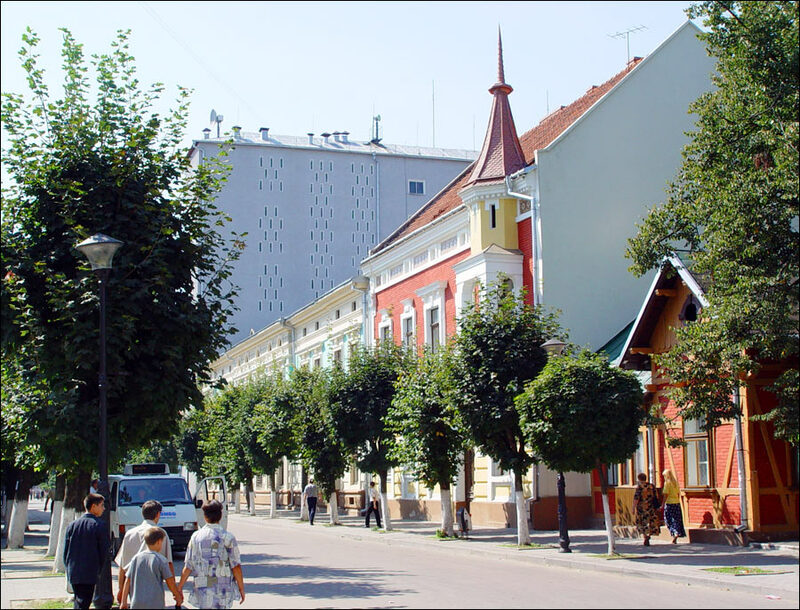 In 2009, Kolomyia became the “safest city of Ukraine” according to the magazine “Focus”. 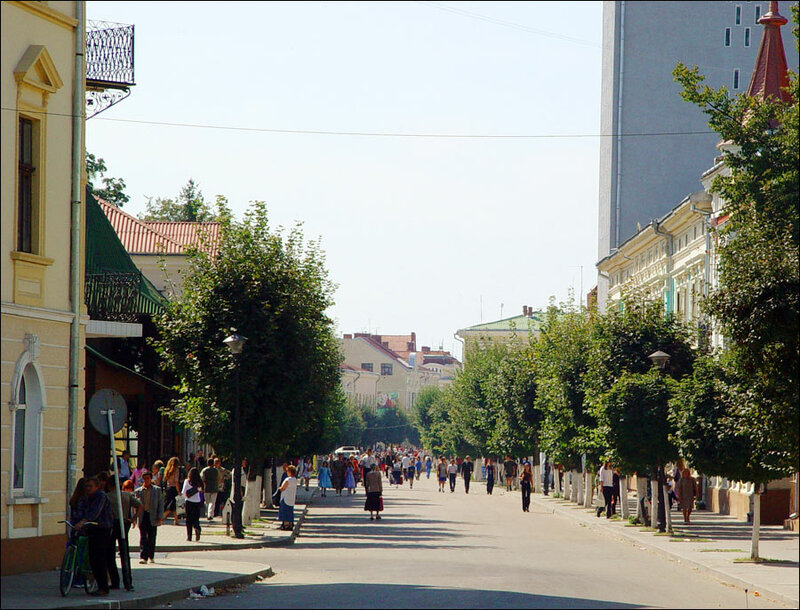 Kolomyia, located in a picturesque area, is a great place for living, business, work, and leisure. The climate is temperate-continental, humid with cool summers and mild winters. The average temperature in January is minus 5.1 degrees Celsius, in July - plus 17.9 degrees Celsius. 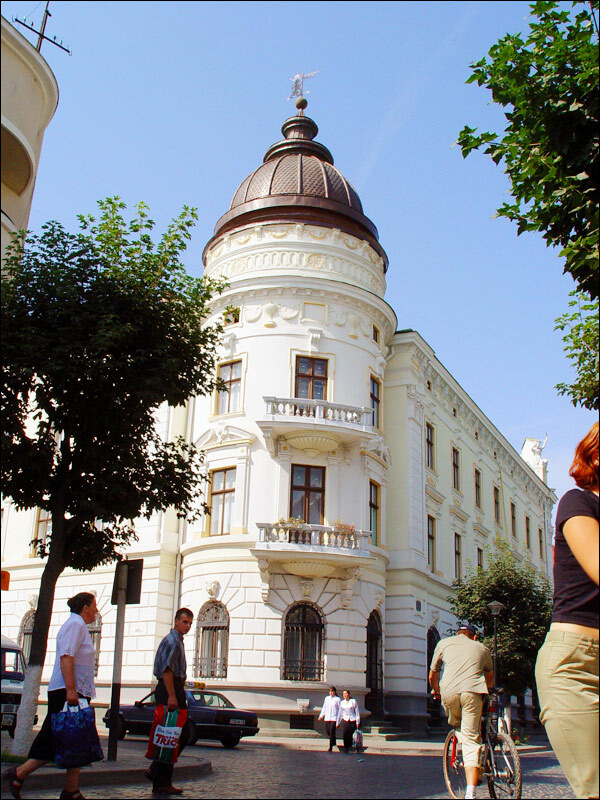 The city is known for its well preserved building of the late 19th - first half of the 20th centuries. Today, most of them are restored. Pysanka Museum. Here you can find a unique collection of pysanky - Easter eggs decorated with traditional Ukrainian folk designs. The building of the museum, opened in the central part of the city in 2000, is made in the form of a huge 13-meter high pysanka. In total, there are about 10,000 exhibits representing traditions of all regions of Ukraine. Also there are works created by masters from Russia, Poland, Czechia, Romania, Slovakia, countries of Western Europe, and America. In the souvenir shop there is a wide selection of original handmade Easter eggs. Vyacheslav Chornovil Avenue, 43B. Opening hours: 10:00-18:00. Day off: Monday. Folk Art Museum. 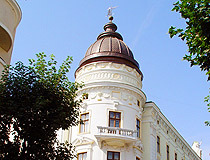 National Museum of Hutsulshchyna and Pokuttya Folk Art named after Yosaphat Kobrynsky is located in a building constructed in the style of the Vienna Neo-Renaissance for the People’s House (1902) at the expense of the Ukrainian community of Kolomyia. The collection has about 50,000 exhibits, which represent all kinds of traditional folk art of Hutsuls and Pokuttyans: carving, forging, pottery, weaving, embroidery, etc. Here you can see traditional clothing of the mountaineers, Hutsul jewelry made from non-ferrous and precious metals, weapons, etc. There is a permanent exposition of tapestries created by M. Bilas. Teatralna Street, 25. Opening hours: 10:00-18:00. Day off: Monday. Kolomyia Historical Museum. 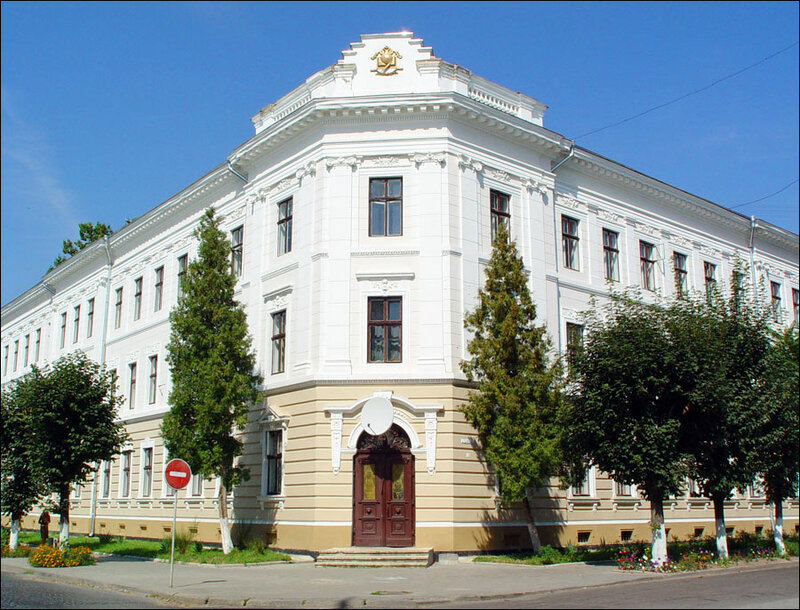 The museum has several permanent exhibitions: “The German Colonies in Kolomyia”, “Kolomyia and Habsburgs”, “Education in the late 19th - first half of the 20th centuries”, “Economy and Trade of Kolomyia in the 19th-20th centuries”, “The History of the Jewish Community of Kolomyia”, “The History of Ukrainian Ethnic Lands in Poland until 1944”. In the building there is also a museum of the liberation struggle of the Ukrainian people. In one of the halls there is an interesting collection of paintings. Roman Shukhevych Street, 80. Opening hours: 9:00-18:00. Day off: Monday. 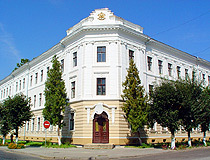 Kolomyia City Council (1877). This building constructed in the Neo-Renaissance style is located in the corner of a square half-turned to the rest of the houses. 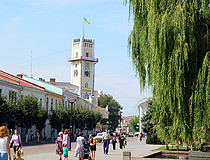 The clock tower of the city hall, 33 meters high, dominates the central part of Kolomyia. Mykhaila Hrushevskoho Avenue, 1. Kolomyia Drama Theater. The theater was named after Ivan Ozarkevych - the founder of the first Ukrainian drama theater in Galicia. It was revived on the initiative of the city council and the local intelligentsia in 1989. Vichevyi Maidan Square, 7. Mykhailo Hrushevsky Gymnasium (1907). The gymnasium is located in a picturesque building of red brick - the former convent of the sisters of Ursulians. Ivana Franka Street, 19. 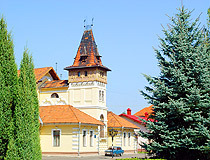 People’s House (1892) - a cultural and creative center of the Kolomyia district. State and professional holidays, thematic evenings, lectures, conferences, concerts, performances of folk groups, exhibitions, festivals are held here. Teatralna Street, 27. 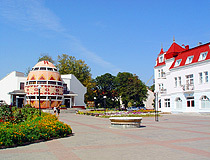 Vidrodzhennia Square - the historical center of Kolomyia. In the Middle Ages, it was part of a large market square. Here you can see preserved buildings of the 19th-20th centuries. In 1914, a monument to Taras Shevchenko was erected on the square to mark the 100th anniversary of the poet, but soon it was destroyed by Russians during the First World War. 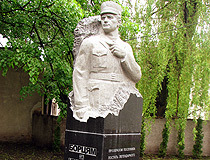 The new monument to Shevchenko was erected in 1990. The pedestrian part of Vyacheslav Chornovil Avenue begins here. 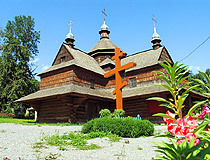 Church of the Annunciation of the Blessed Virgin Mary (1587) - one of the oldest wooden churches in Subcarpathia, a great example of the Hutsul school of folk wooden architecture. The murals made in 1648 are preserved. The church is located on the territory of a cemetery. In Soviet times, the exposition of the Pisanka Museum was located here. Today, the church belongs to the Ukrainian Orthodox Church. Karpatska Street, 2. Catholic Church of the Virgin Mary (1775) - a majestic baroque church located near Vidrodzhennia Square - the historical center of Kolomyia. In Soviet times, the church was closed. In 1991, it was reopened as the Greek Catholic Church of the Holy Martyr Josaphat Kuntsevych. Het’mana Ivana Mazepy Street, 2. 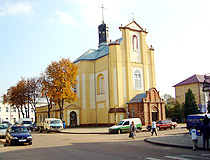 Church of St. Archangel Michael (1855-1871). The church was built on the site of the Dominican monastery and the holy spring at the expense of the local community. Its original appearance has not changed much, and even the old paintings have been preserved. Mykhaila Hrushevskoho Avenue, 11. 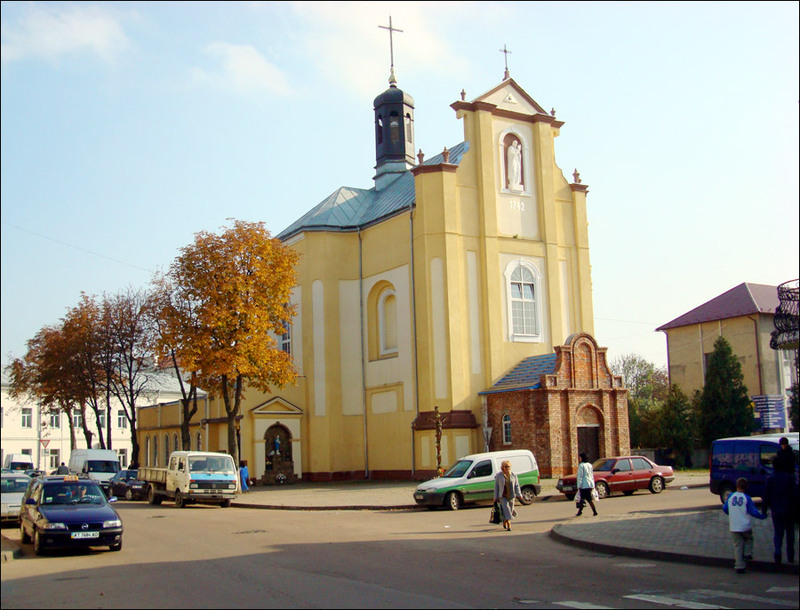 Catholic Church of St. Ignatius Loyola (1897) - a Jesuit church built on the initiative of the Polish Catholic community of Kolomyia. In 1990, the church was returned to the Roman Catholic community of the city. Ivana Franka Street, 18. 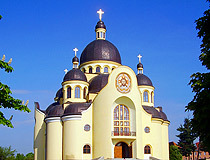 Cathedral of the Transfiguration of Christ (1998-2012) - the largest Greek-Catholic church in Western Ukraine (the height of the building is 50 meters). 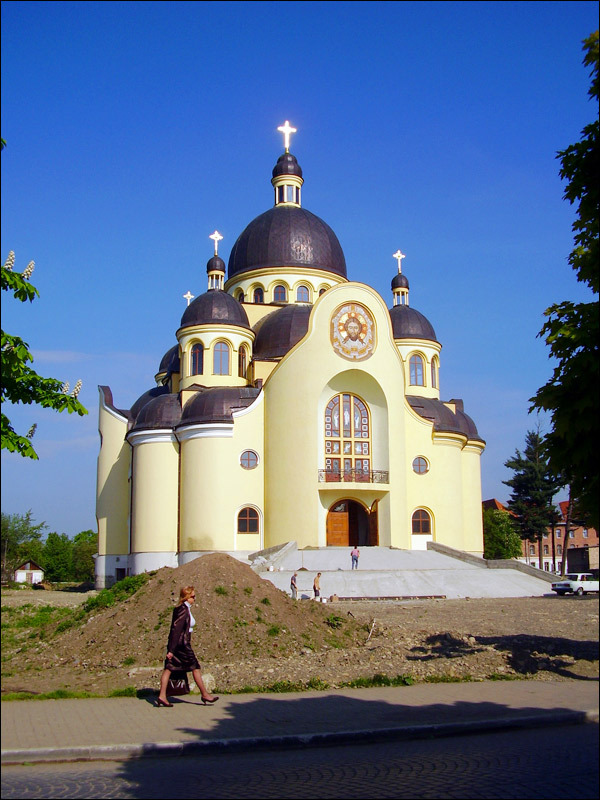 The cathedral was built of bricks, the dome of the cathedral was made of copper the funds for which were donated by Pope John Paul II during his visit to Ukraine. Teatralna Street, 31. 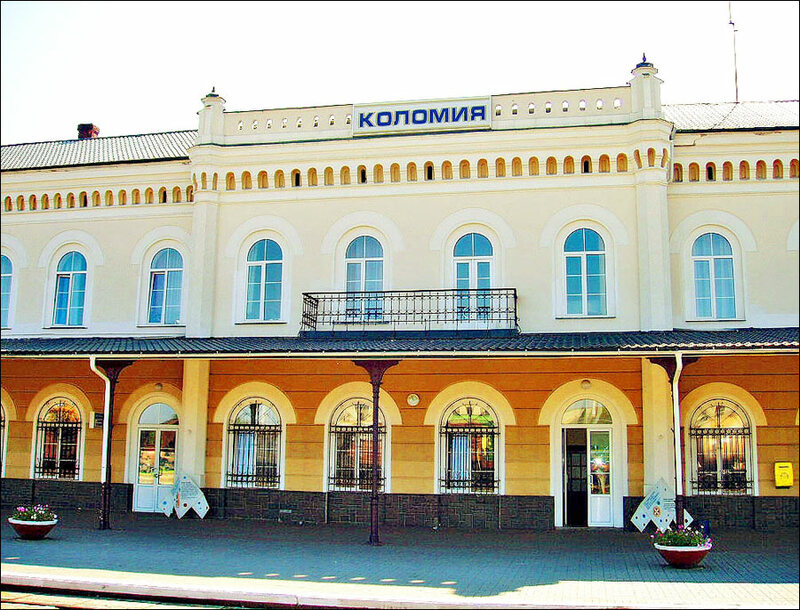 Although Kolomyia is a pretty popular tourist center, there are relatively few hotels in the city. The following hotels offer a relatively good level of services according to visitors’ reviews. Mini-hotel “Oasis” - a private mini-hotel with 5 rooms located in the central part of Kolomyia near a small lake. Free Wi-Fi and private parking, tour desk, currency exchange, cycling, garden, BBQ facilities, horseback riding, hiking, fishing, pets are allowed on request, the staff speaks English and Polish. Kovtsunyaka Street, 1B. Phone: +380 68 904 95 70. Mini-hotel “Samarianka” - a two-storey mini-hotel with 5 rooms located in the center of Kolomyia. Free Wi-Fi and parking, safe, room service, bar, tour desk, hiking, pets are allowed on request, the staff speaks English. Lesi Ukrainky Boulevard 35. Phone: +380 3433 2 10 57. Hotel “Pysanka” - a small hotel with 23 rooms located in the very center of Kolomyia, near the Pysanka Museum. Free Wi-Fi and parking, room service, family rooms, shuttle service, restaurant, no elevator, pets are not allowed. Vyacheslav Chornovil Avenue, 41. Phone: +380 3433 2 03 56. Visited my Uncle and Cousins in Kolomyya, for the first in Fifty one years. Very intesting City, I have fallen in love with old Kolomyya. Because My Family's Roots came from Kolomyya and its Area. I may go one more time providing the Health keeps me well. So Long Kolomyya!